The Koret Foundation is privileged to support outstanding organizations that help strengthen the Bay Area and Jewish communities, whether through direct impact on the opportunities available to people or through research, models, and demonstration projects on programs that effect constructive change. Michael J. Boskin is the Tully M. Friedman Professor of Economics at Stanford University, Senior Fellow of the Hoover Institution, and Research Associate at the National Bureau of Economic Research. Dr. Boskin has advised four Presidents of the United States and multiple Prime Ministers of the United Kingdom, Chancellors of Germany and Premiers of China. He served as Chairman of the President’s Council of Economic Advisers (CEA) from 1989 to 1993, in President George H.W. Bush’s administration. His CEA was rated by the Council for Excellence in Government as one of the five most respected agencies in the federal government. Dr. Boskin also chaired the highly influential Blue-Ribbon Commission on the Consumer Price Index. He speaks and writes frequently on the economic outlook; evolving trends significant to business, national and international economic policy; and the intersection of economics and geopolitics. He also serves as senior director of Exxon Mobil Corporation and presiding director of Oracle Corporation. In addition to Stanford, Dr. Boskin has taught at Harvard and Yale. 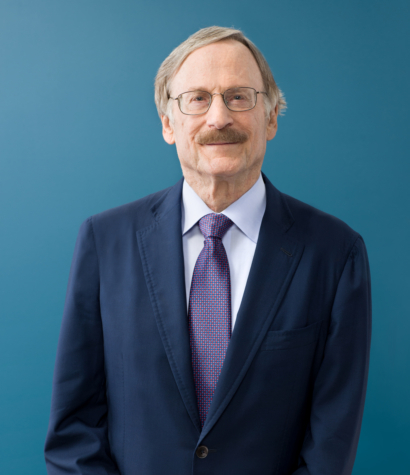 Author of more than 150 books and articles, he is internationally recognized for his research on world economic growth, tax and budget theory and policy, Social Security, U.S. saving and consumption patterns, and the implications of changing technology and demography on capital, labor, and product markets. Dr. Boskin received his B.A. with highest honors and the Chancellor’s Award as outstanding undergraduate from the University of California, Berkeley, where he also received his M.A. and his Ph.D., all in economics. Dr. Boskin has received numerous professional awards and citations.